The formerly separate municipalities of Dundas, Stoney Creek, Flamborough, Ancaster, and Glanbrook, and the regional municipality of Hamilton-Wentworth, were amalgamated with Hamilton 01 January 2001. Funicular. Operation sold to a new company 1906. (Mills 1971). Funicular. Continued from the HIRy. Operations suspended 03 November 1913 due to an accident, resuming 30 April 1914. (Mills 1971). 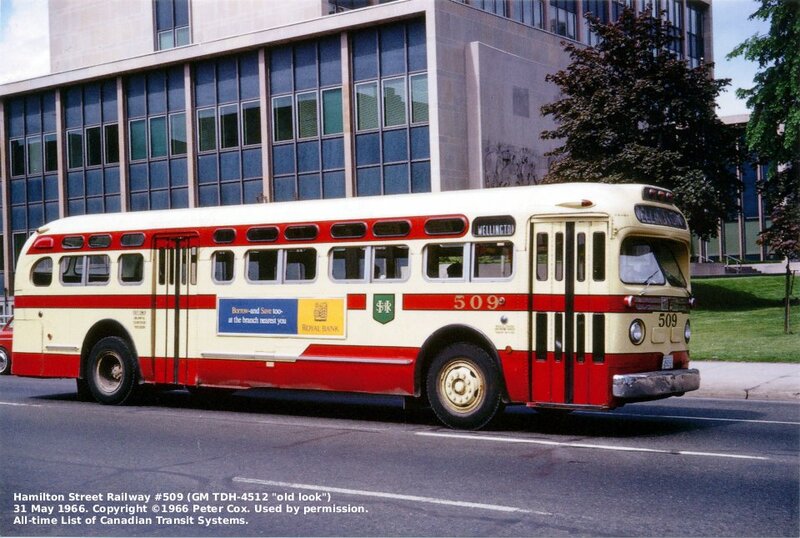 The "jitney craze" in Hamilton played out similar to to other Canadian cities. Jitney operators were reported to be operating circa April 1915 when most of the 40 in operation belonged to the HJSA. By 20 March 1916 there were 60 in service and the Hamilton Jitney Association was wound-up, leaving the drivers as independents. 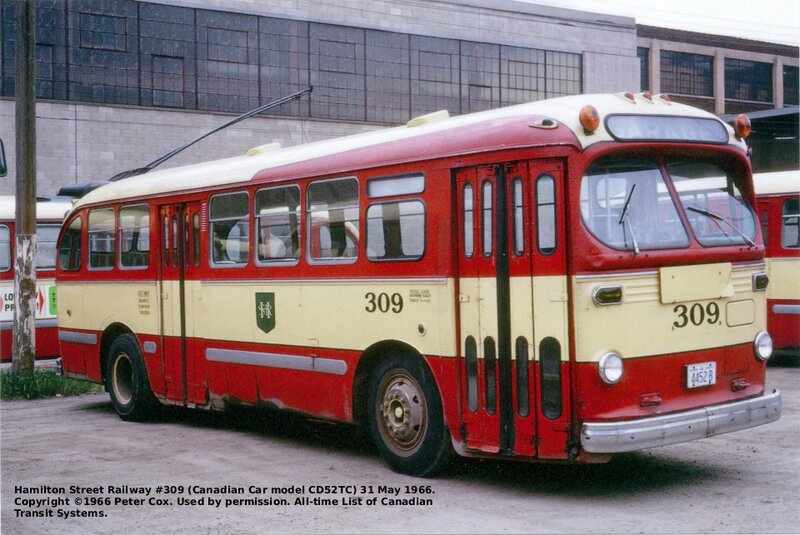 The only operator mention in the pages of CR&MW was Hamilton Jitney Co. in the May 1915 issue. (CR&MW 1915-1918). In early 1926 Mount Hamilton Bus Lines, Ltd. was operating 3 buses between Sherman Avenue in Hamilton and Hamilton Mountain, on an approximately half-hour headway (CR&MW February 1926, p. 96). A second survey a few months later said the route was operated by W.L. Owen using 1 bus, on an hourly schedule, for a fare of 7¢ or 4 tickets for 25¢ (CR&MW May 1926, pp. 262-263). Owen was probably the owner of MHBL. 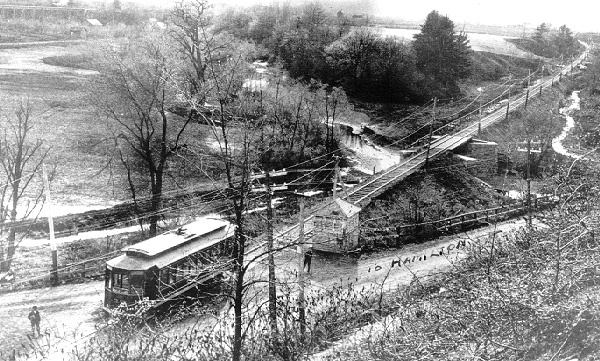 MHBCo acquired circa 1926 by the HSR. Intercity and suburban arm of the HSR enterprise. 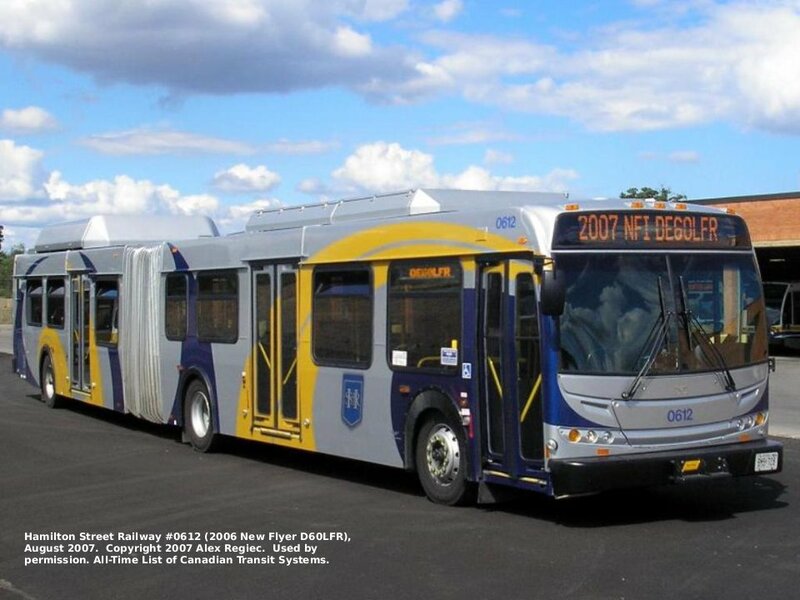 Some former CCL services now conducted by the HSR. Incorporated 1904 (Dom.) Line from Hamilton to Brantford. 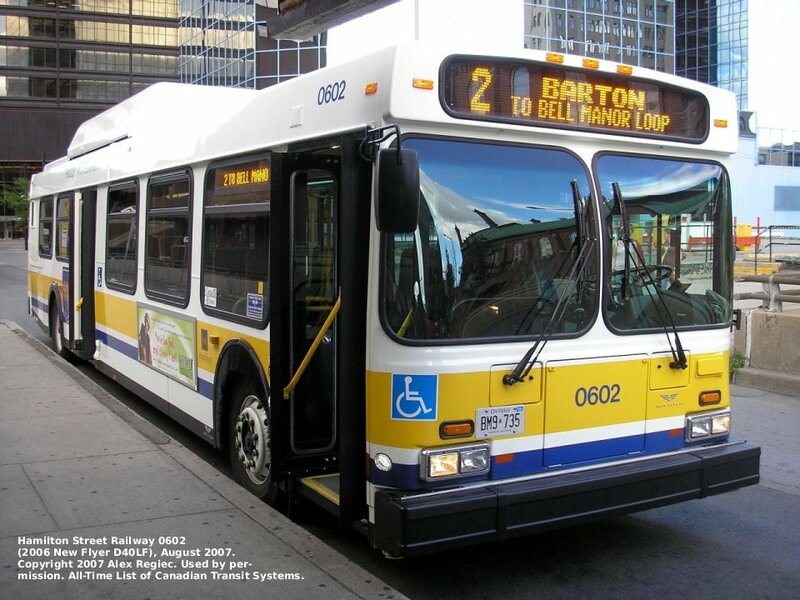 Service opened from Hamilton to Ancaster 1907, and through to Brantford 23 May 1908. Came under the control of the Hamilton Cataract, Power, Light and Traction Company, which became the Dominion Power and Transmission Company in 1907. Dominion Power was acquired by the Hydro Electric Power Commission of Ontario in April of 1930. Incorporated 1875/76 (Ont.) Opened as a steam dummy railway line May 1879 from Hamilton to Dundas. Electrified 1898. Acquired 17 September 1899 by the Hamilton Cataract, Power, Light and Traction Company, which became the Dominion Power and Transmission Company in 1907. At the end of service, city trackage in Hamilton was sold to the Hamilton Street Railway and most interurban trackage went to the Toronto, Hamilton and Buffalo Railway for steam operation. 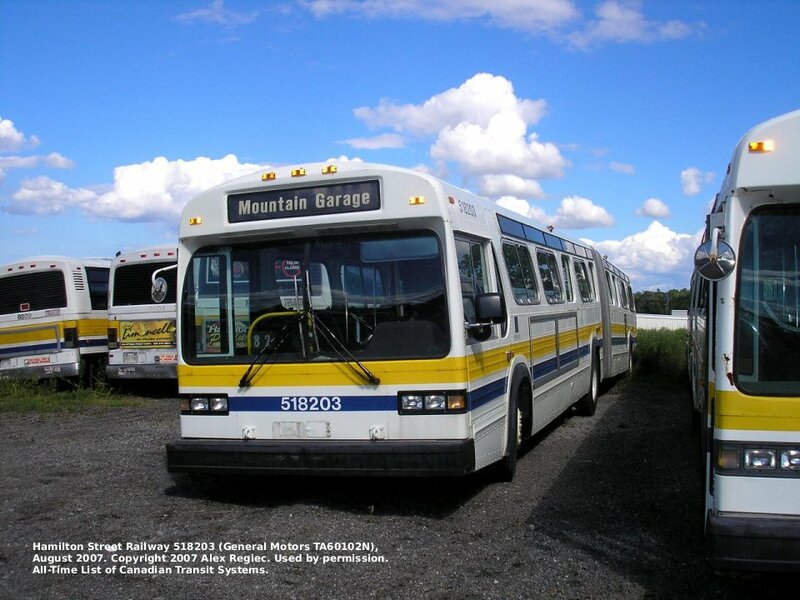 By 1926 replacement bus service was offered by four carriers: bus operator Highway King Buses Ltd. (from 1921, up to 6 trips/hour, fleet of 13 buses), and three coordinated jitney/bus operators: J.J. Gravelle, G. Green, and William Rogers (3 trips/hour, 3 buses). (CR&MW May 1926, pp. 262-263). Incorporated 1893 (Ont.) as the Hamilton Radial Electric Street Railway Company. Name changed to the above in 1894. Line from Hamilton to Burlington and Oakville. In February 1901, came under the contol of the Hamilton Cataract, Power, Light and Traction Company, which became the Dominion Power and Transmission Company in 1907. 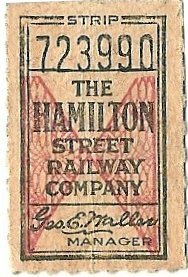 At the end of service, city trackage in Hamilton was sold to the Hamilton Street Railway. The Dominion Power and Transmission Company held another subsidiary, the Hamilton Terminal Company, which operated the joint terminal facilities in Hamilton for Dominion's radials. Trackage and cars owned by the HTCo were shared among the radial operations. Blaine, William E., "Ride Through the Garden of Canada": A Short History of the Hamilton, Grimsby & Beamsville Railway Company, 1894-1931 , William E. Blaine, Grimsby (Ontario), 1967. Hughes, Robert J., The Hamilton Radial Electric Lines , WWW site at the URL: http://www.globalserve.net/~robkath/railham.htm, 1999. Luton, Tom, Hamilton Radials, a World Wide Web page at the URL: http://ca.geocities.com/hsrtrolleys@rogers.com/radials.html, 2005. Luton, Tom, Hamilton Transit History, a World Wide Web page at the URL: hamiltontransithistory.alotspace.com, 2013. Miller, W.E., The Hamilton Street Railway Company , a World Wide Web Page at the URL: http://www.trainweb.org/elso/hsr.htm 1997. Mills, John M., Cataract Traction: The Railways of Hamilton , Canadian Traction Series Volume 2, Upper Canada Railway Society, Toronto (Ontario) and the Ontario Electric Railway Historical Association, Scarborough (Ontario), 1971. 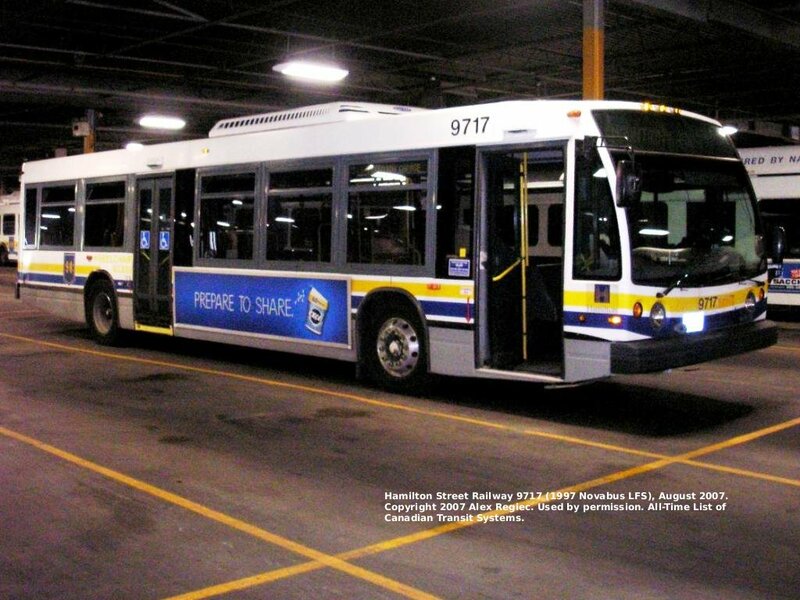 Parberry, Darren, GTA Transit Information - Hamilton Transit - HSR Historical Facts , a world wide web site at the URL: http://gtatransit.freehosting.net/ham4.htm 2000.